at W. Blau╥s Ergodic Candlestick Oscillator. The ECO is a momentum indicator. 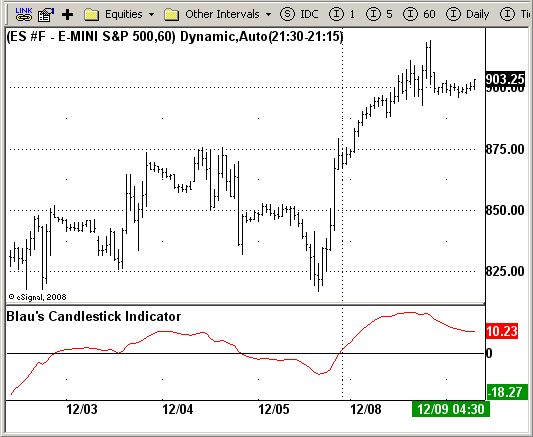 of using the indicator is simply to define the trend based on which side of the "0"
line the indicator is located on. If the indicator is above "0", then the trend is up. point where the trend changes. are not allowed to take long signals.